Strategic Brand Marketing | What Do We Do? Assuming you’re a business owner and you asked someone off the street what your business is known for, what would they say? Are they familiar with your business and, more importantly, do they know what you do? 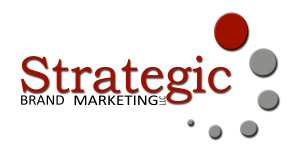 The Strategic Brand System® is an exclusive marketing strategy that helps uncover what makes your company unique so you can rise above your competition. Because mindshare equals marketshare, real success occurs when your business is the one consumers think of first when they are in need of your products or services. Strategic Brand Marketing works with you in developing your unique brand so when consumers need your products or services, they think of you FIRST! While we also work in traditional media campaigns, at Strategic Brand Marketing we love to think outside of the box! We are known for creating unique campaigns that include opportunities to emphasis your brand in a way that will attract your target customer. Some of our campaigns include unique events such as the ‘Concert for Gilda’s Club‘ with WMGN (Magic 98) in Madison, Wisconsin and ‘Swing Fore Recovery’ for the benefit of University of Wisconsin-Madison student athletes in need of mental health education and support. Whether you are a small locally-owned business wanting to discover your brand or an established company looking to re-define who you are, Strategic Brand Marketing will work with you to ensure your company rises above your competition. Brand/Rebranding strategies analyze and plan out how your brand will be perceived in the market. Strategic planning will define your mission and direct resources to achieve your objective. Advertising & Marketing will communicate with your audience to promote or sell a product, service or idea.